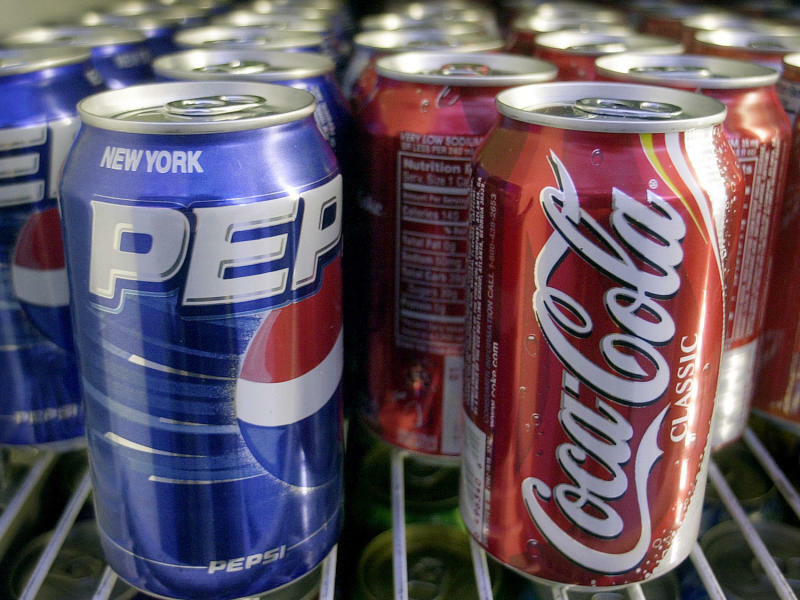 Why the eternal battle between Coca-Cola and PepsiCo is not a just a matter of tastes. Pepsi has won a small skirmish in the decades-long Cola War. With return of nearly 19% this year, PepsiCo's returns have bested Coca-Cola's 9% year-to-date performance. Then on Thursday it was announced that restaurant chain Buffalo Wild Wings has switched drink suppliers from Coca-Cola to Pepsi, hoping to benefit from the latters' ties with the National Football League and Major League Baseball. Since the end of the 19th century, Pepsi and Coca-Cola have been making slugging it out over the hearts, minds, and wallets of the world's soda drinkers. On the surface, the two companies look similar given that they both are valued at around 17 times their future expected earnings. However, dig just a little bit and you'll find very different companies. Coca-Cola's main line of business is its carbonated drinks – about three-quarters of its revenues. For PepsiCo, it's only a quarter of their revenues. The rest of PepsiCo's sales come from snacks and foods, owning such popular brands as Frito-Lay, Doritos, Cheetos, Quaker, and Cap n' Crunch. For Steve Cortes, founder of Veracruz TJM, the difference in product mix is the reason why PepsiCo has outperformed Coca-Cola in 2013 and why he thinks it will continue to do so in the future. "Pepsi is far more of a food company," says Cortes. "Food companies have done terrifically well lately, largely because the input costs have absolutely plummeted. Corn, for instance, just a couple of weeks ago hit a three-year low. The food space has been a terrific spot to be." Coca-Cola, meanwhile, is in a tougher spot to be in because of its reliance on flavored beverages, according to Cortes. "Consumers are increasingly turning away from sugary drinks," says Cortes, who also notes increased government regulation on how soda drinks are sold. However, Jeff Tomasulo, managing partner at Belpointe Alternative Investments, says the charts favor Coca-Cola over PepsiCo. Tomasulo sees Coca-Cola's recent break above a six-month long downward trend channel back in October as a positive signal. "Now it's holding and consolidating above $40," says Tomasulo. "Coke is definitely the better play right now than Pepsi." To see the rest of Cortes' fundamental analysis on PepsiCo and for Tomauslo's chart on Coca-Cola, watch the video above. Retail is running from bonds, but are they making a mistake?